In its pursuit to achieve its goal, the Movement for the Transformation of SLPP (MTS), has embarked on a nationwide tour to recruit and sensitize people about the movement and its activities within the SLPP. Speaking to SLPP stakeholders and executive members of Koinadugu District, the acting MTS Coordinator – Ernest Smith told the gathering that MTS is a registered pressure group within the SLPP. He said that its main purpose is to lead the transformation of a New SLPP that will regain its past glory, rise to existing challenges, emerge as an inclusive and electable party, with a broad-base national support and as a credible political alternative for governance and national development in Sierra Leone. Mr. Smith also said that MTS is neither a break-away group nor an alternative or a rival group to any of the existing SLPP structures. Rather it will cooperate with the established organs; support and complement efforts in helping to reorganise and re-energise the party towards the cherished common goal of returning to power in 2018. 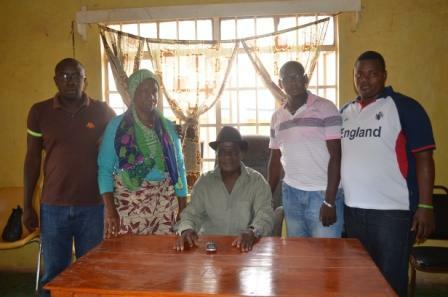 In his statement, the Chairman of SLPP Koinadugu District – Mohamed Balakun Konteh thanked the MTS team for their work and stressed that MTS and SLPP should work tirelessly in the northern region to increase support for the party. Mr. Konteh noted that the north is paramount to SLPP in winning the 2018 elections and that MTS should push on with its activities regardless of the obstacles. He concluded by expressing happiness about the formation of MTS and its timely intervention to bring peace in the SLPP. The District Young Generation Leader – Sorie Marrah, urged MTS to promote youth activities in the district in order to attract young voters. He also warned that MTS must always abide by one of its major guiding principles, which is to keep away from Flagbearer business. The movement is open to every SLPP member or sympathiser who shares the conviction that the SLPP needs a thorough re-organisation and transformation, driven by the Party’s core values and principles. In the main, these principles as enshrined in the constitution, include: Tolerance and respect for others within and outside the party; Peaceful and nonviolent means of resolving conflicts; Respect for the rule of law; Putting party above self; and Financial probity. Every SLPP member and sympathiser at home and abroad who buys into this vision is welcome to join, provided they embrace the above principles and adhere to the rules and regulations, which bind the Movement(which are spelt out in the MTS constitution). The Movement is, first and foremost, committed to the patriotic aspirations of Sierra Leone and the SLPP party. 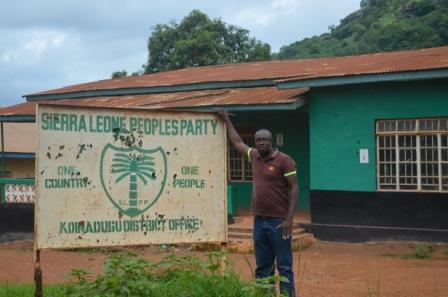 To this end and based on the core belief in ‘One Country One People’, the Movement espouses a selfless commitment and dedication to SLPP as the party that can govern Sierra Leone in the most judicious way for the betterment of all Sierra Leoneans. Members must refrain from discussions about preferred Flag bearer aspirants as this could be very divisive. The selection process can however be discussed. This also applies to the choice of candidates for other party positions. Members should have professional respect for each other’s viewpoints, and discussions should not degenerate into rancour or use of foul and abusive language. The organisation will work in line with the tenets of the SLPP constitution and its rules and regulations. It may however advocate for changes to be made as deemed appropriate. The Organisation will use the following strategies to achieve its objectives: Advocacy-by engaging with established structures and other groups within the party; Funding of specific projects-either directly or indirectly; Direct engagement with external bodies; and Publicity campaigns, using the national and other appropriate media.